Tise Vahimagi details in this text the development of the "Gangster" genre, and The Untouchables' relations to American cinema and television of the 1950s and 1960s, offering a sidelight on the social and political events of the period. The Untouchables television series was produced at the high point of the US film series drama in the early 1960s. The series featured the crusade of Federal agent Eliot Ness (played by Robert Stack) against the Prohibition era underworld of "Scarface" Al Capone. The long-running series featured early roles from a variety of screen personalities (such as Leslie Nielson, Peter Falk, James Coburn, Charles Bronson, Leonard Nimoy, Robert Redford, and Robert Duvall) as well as established Hollywood players (Lee van Cleef, Lee Marvin, Patricia Neal, Barbara Stanwyck, and Dorothy Malone). The show set new standards for TV action and pioneered a more adventurous approach to the representation of violence on TV, which in turn provoked considerable controversy as well as acclaim. 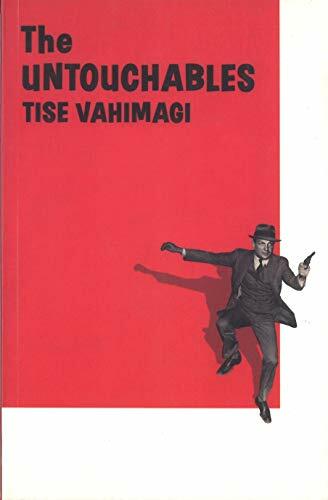 Tise Vahimagi details in this text the development of the "Gangster" genre and "The Untouchables'" relations to American cinema and television of the 1950s and 1960s, offering a sidelight onto the social and political event of the period. This book also includes illustrations and detailed credits providing a full production history for followers of of the series. Tise Vahimagi is the television editor at the BFI Filmographic Unit.